These mushrooms are so juicy! 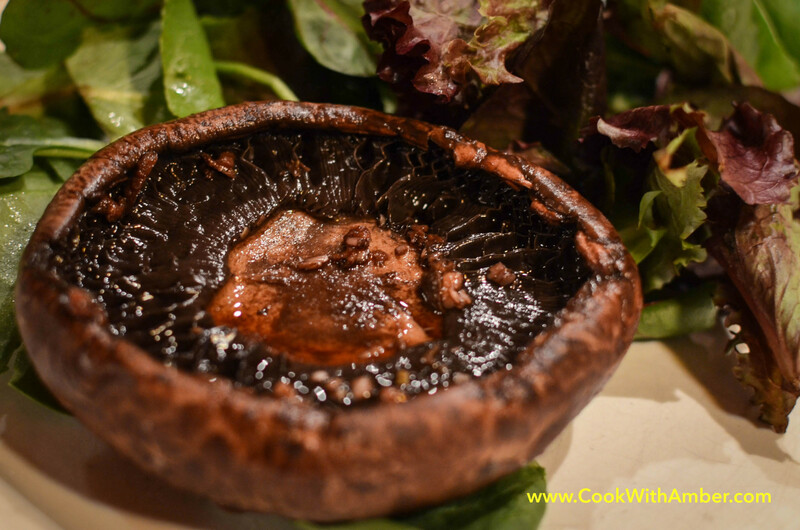 These are amazing and my favorite way to eat portobello mushrooms. You can serve this as a main dish with salad or as a side dish! In a ziploc bag, combine the wine, oil, soy sauce, balsamic vinegar, and garlic. Place mushroom caps upside down in the bag, making sure it is coated with the marinade, and some is inside the cap. Let it sit for 15 minutes. 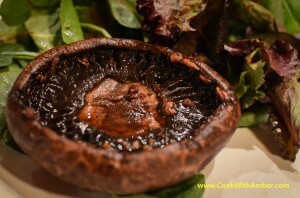 Put the mushrooms upside down in a baking dish, and pour the marinade on top. Cover with foil and bake for 25 minutes. Turn mushrooms and continue baking for 8 minutes.